Congratulations! (1366x768 wallpaper). 'Congratulations!' 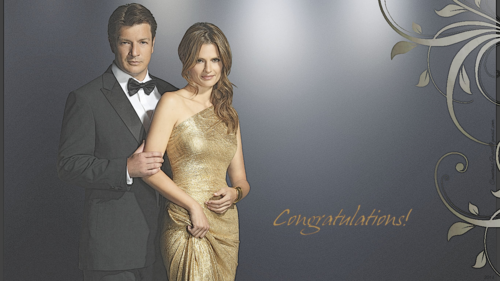 wallpaper created by TheCountess features Richard Castle (Nathan Fillion) & Kate Beckett (Stana Katic) of the TV series 'Castle' . HD Wallpaper and background images in the Caskett club tagged: castle tv series richard castle nathan fillion kate beckett stana katic castle and beckett caskett fan art wallpaper castle tv show wallpaper thecountess. 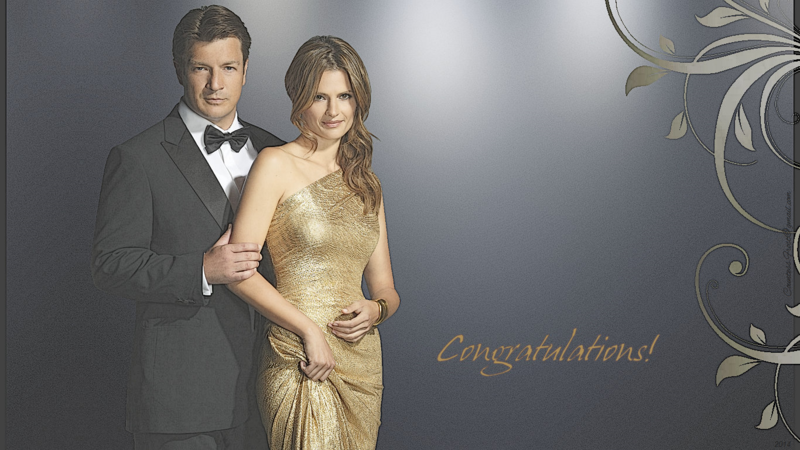 This Caskett fan art contains business suit. There might also be suit, suit of clothes, dress suit, full dress, tailcoat, tail coat, tails, white tie, white tie and tails, well dressed person, suit, pants suit, and pantsuit.